The secret of a successful interlude in Venice is to get lost. Leave behind the grandeur of San Marco and the Rialto, and wander along quiet canals and through dusty squares, pausing from time to time in churches, or in neighbourhood osterie and bacari for a Bellini here and a Vivarini there. Then back to your hotel or guesthouse, where, if the spell is not to be broken, atmosphere counts for everything. Our recommendations have something to fit every taste and every budget, whether you want to spend top dollar or to book a simple B&B. Use our guru's pick of the best places to stay in Venice and start to plan your trip. If you want to be in the heart of the action you need to book a hotel as near as possible to Piazza San Marco from where you can easily reach many of the city's highights. Alternatively if you want a less frenetic pace, then base yourself in Cannaregio. As well as being close to the railway station, this area is peaceful and very attractive. It's also where you'll find the atmospheric Jewish Ghetto. 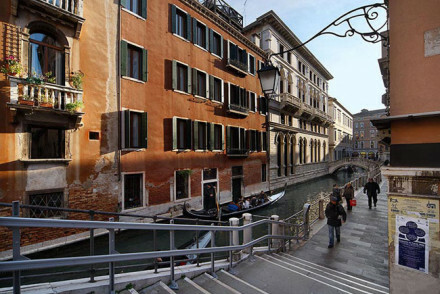 Dorsoduro is a great choice for art enthusiasts. You're spoilt for choice in this neighourhood with many fine galleries on the doorstep including the Accademia and the Guggenheim. But explore a little further and you'll discover quiet squares, stunning architecture and a vibrant cafe scene. La Giudecca is the island which lies directly opposite Dorsoduro. 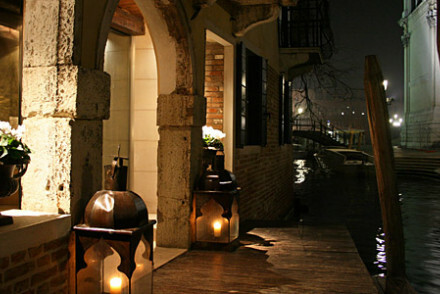 And for a location which contains many luxury hotels, it also encapsulates the lives of many ordinary Venetians. Because of this it manages to be a lovely haven from the mainstream tourist spots and the perfect choice if you want an indulgent stay away from the crowds. 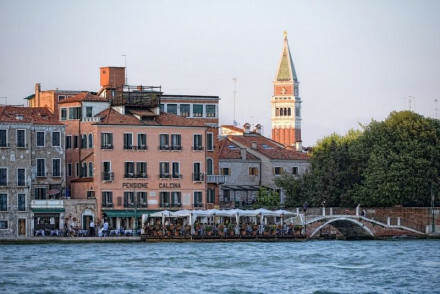 Many of the best places to stay in Venice have views of the water and you should always at least try for a room with a view; you need to book well in advance for high season, and be prepared to pay extra for the privilege. Alternatively, consider a winter visit: the skies are often blue, the crowds dispersed, prices are low, and that perfect room with a view is far more likely to be yours. 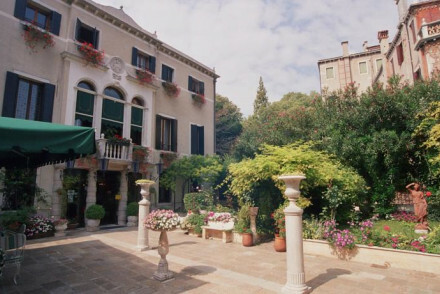 La Residenza is one of our top choices for a cheap stay in Venice. 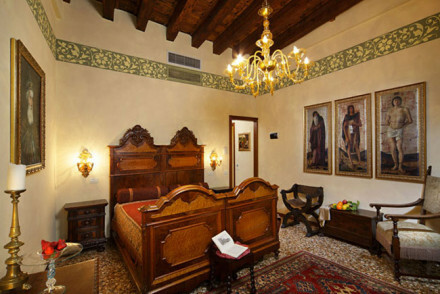 It's a historic property close to St Mark's Square where you'll find wonderful architecture and period furnishings. Plus doubles start from just €80 B&B. Hotel Villa Pannonia is marginally more expensive (rooms from €85 B&B), and offers contemporary bedrooms, lovely terraces for breakfast in warmer months, and a charming location on the Lido. 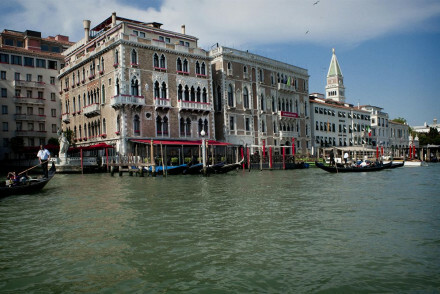 The Bauer Il Palazzo on the grand canal is a sumptuous five star spot ideal for honeymooners and hopeless romantics. Plus there's a glorious restaurant and roof terrace breakfasts. Also on the grand canal is the wildly oppulent Ca' Sagredo Hotel which has stucco, chandeliers and gilding everywhere you look. Excellent service in a truly remarkable building in a world renowned location. 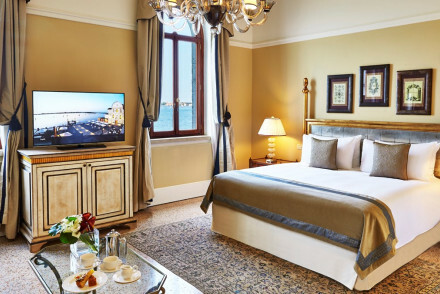 The Gritti Palace is a classic grand hotel. The former Doge's Palace is traditional with heart-stopping views. Re-opening after a refurbishment which we trust will only have burnished its loveliness. The homely yet sophisticated Locanda Cipriani has a lovely garden in which to eat dinner in peaceful seclusion. If an outside space is a priority, the Palazzo Abadessa has a lovely walled garden. Owned and run by its former occupant this palazzo in atmospheric Cannaregio gives guests the impression of being at a constant house party. 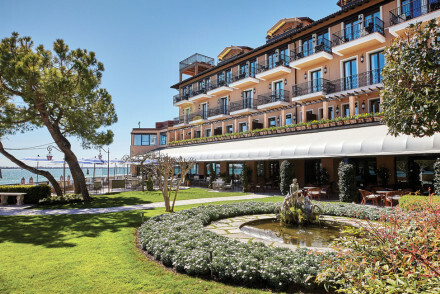 The Metropole on the Riva overlooking the lagoon has traditionally opulent bedrooms and antique curios dotted about but is also home to Venice's only Michelin-starred restaurant Plus there's the bonus of its Citrus Garden which is open in warmer months for al fresco breakfast. You possibly wouldn't want to be in a hotel next to a bus stop but being next to the boat stop, as guests at the Hotel Al Ponte Mocenigo are, is a different matter. Traditional and intimate, it has a pretty courtyard where breakfast is served in summer. 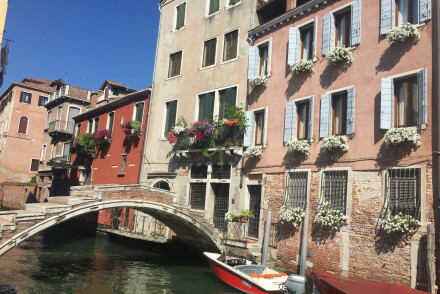 For families, or anyone looking for the best places to stay in Venice which are a little less high-octane, the Quattro Fontane is a very good choice not too far from the action. It is a family run former family house close to the lido but delightfully peaceful. The simple friendly Pensione La Calcina is a good choice for families and has a floating terrace restaurant in front of the hotel. 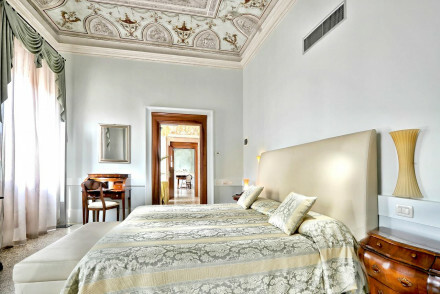 Ca Maria Adele is a 16th century palazzo richly decorated with damask fabrics. The five themed rooms are the ones to choose if you can, and the best of these is the sala noir with its sophisticated black chandelier. 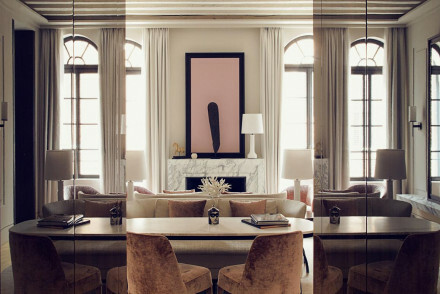 Housed in a muted pink palazzo, the Ca' Pisani was the first designer hotel in Venice and is an antidote, for anyone who wants one, to the baroque excess of many of the city's hotels. Overlooking the lagoon is the Hotel Londra. Original paintings and a huge lovely view of the lagoon will vie for your eye. Shutters keep the bedrooms dark and quiet. 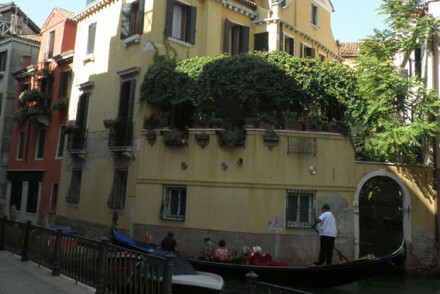 There are cheaper places to stay on the grand canal if you know where to look - and we do! The Locanda ai Santa Apostoli is a third floor apartment guesthouse accessed via discreet but handsome dark green doors to this converted Palazzo. 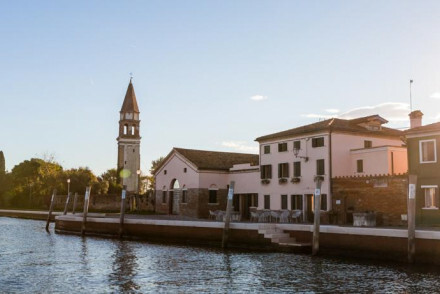 A half hour boat trip from downtown Venice is the Venissa, a hotel and restaurant in an idyllic island setting, promisingly named after the local wine. 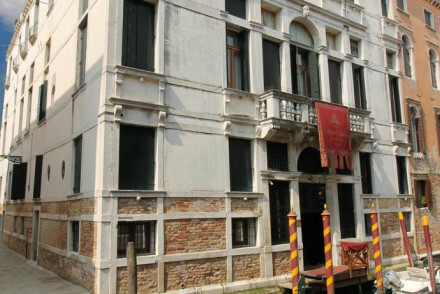 Another of the best places to stay in Venice if you want off-the-beaten-track, is the Locanda del Ghetto, situated in what was the world's first Jewish ghetto. Surrounded by water but in easy reach of the Rialto it is simply decorated and understated. 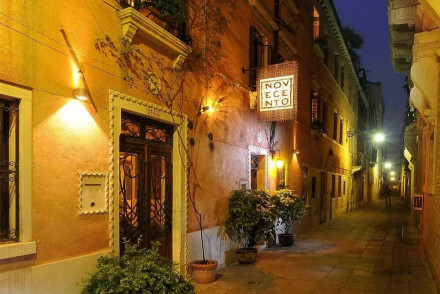 A sexily chic B & B with oriental decoration in a great location for shoppers is the Novecento. There is a steep climb up to La Villeggiatura but it is a spacious guest house, ideal for families who have perhaps not travelled with any grandparents. If you've changed your mind about a hotel and think that an apartment would suit you better, then click here to access our online booking partner, booking.com, where you'll find a wide range from budget studios, to luxury flats. 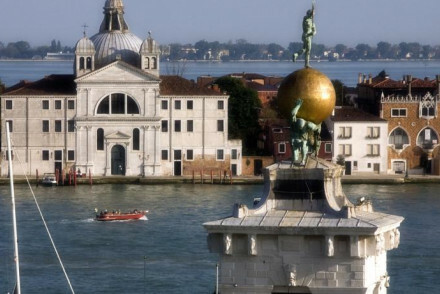 Fly to Venice Marco Polo Airport located on the mainland 12 km from the city by road and just 10 by boat. 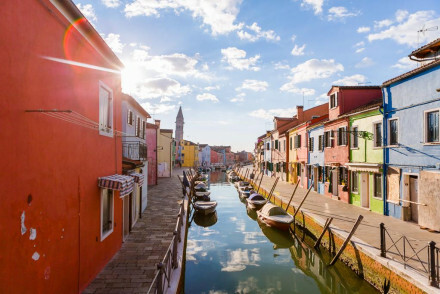 If travelling overland by rail, book a ticket to Venezia Santa Lucia, which is well connected to destinations around Italy and Europe. Best time to visit - Venice is a year round destination. The late spring and early summer are the best times to visit weather-wise, although tourists flock to the city during these months. Winter months are cold but hotel prices are reasonable and the city is quieter. Browse through our list of all the best places to stay in Venice. Expand your search to include all our recommendations in other major Northern historical cities of Milan and Verona. Include all our recommendations in the Veneto region. Small but oozing character, this privately owned hotel offers two floors of traditional bedrooms in well-located setting for city explores. The charming rooms have 18th Century furniture overlooking a pretty and private courtyard. An intimate, romantic find in the heart of the city. Value chic - Reasonably priced classic Venetian rooms, filled with antique furnishings and fine fabrics, with a charming central courtyard. Romantic Break - The hotels suite comes with canopied bed, Murano chandeliers, balcony overlooking the canal and whirlpool bath! Great walks - Venice is a great city for wandering, explore the narrow cobbled lanes and alleys. 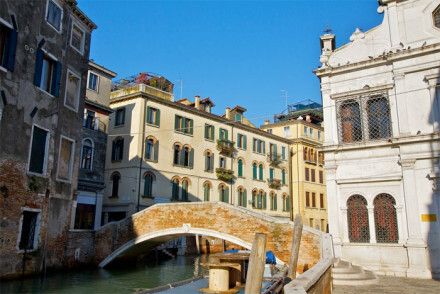 Sights nearby - A ten minute walks brings you to Venice's oldest and most famous bridge, Rialto. An adorable, typically Venetian B&B. Rooms exude understated charm and homeliness. Excellent views from the bedrooms and lovely breakfasts. A great value spot for central Venice. Views - All the bedrooms have canal views. Attractive redbrick townhouse hotel in the Lido. Contemporary bedrooms in whites, blacks and greys with lots of natural light. Lovely terraces outside to enjoy breakfast in the summer months. Family friendly and great value. A charming and chic restaurant with rooms, set in two acres of vineyard, on an idyllic island . 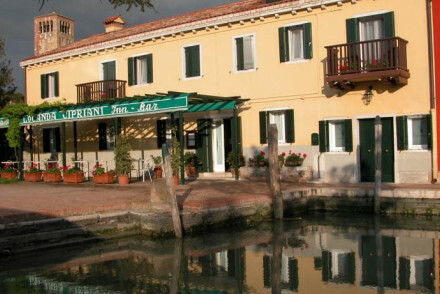 A gastronomic delight off the beaten track, a half hour boat ride from downtown Venice. Rooms are simple and elegant with beamed ceilings and clean design. A foodies haven. Hideaway - A perfect escape for those discerning travellers who would rather a rustic chic retreat to five star glitz and crowds. Foodies - The Michelin star restaurant focuses on local produce and is undeniably one of Venice's best. Great walks - Take an evening stroll around Mazzorbo, the views are sensational as the sun goes down on the lagoon. A small, simple and very friendly guesthouse in the attractive, and largely residential, Cannaregio area of the city. Ten minutes walk from the Rialto and handily placed for the railway station and boats to Burano, Torcello and the airport. Superb value for money. Less £ - Excellent value for money in the centre of Venice with rooms from as little as €70 including breakfast. Garden - Where breakfast is served in summer months. 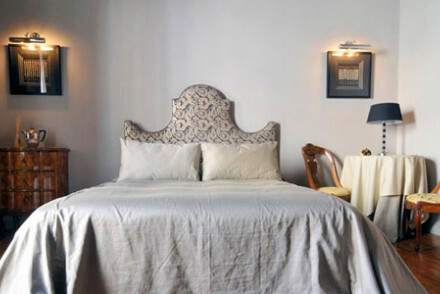 An understated and romantic 15th Century Locanda, in the old Jewish Ghetto of Venice. Off the beaten track, quiet and good value, you get the chance to see a new side of the city away from the throngs of tourists. Simple rooms, some with terraces overlooking the square, are charming and comfortable. Local exploring - Explore this hisotrical and fascinating area of Venice, with monuments, museums, cultrual centres and even Kosher restaurants! Great walks - Cannaregio has remained mostly unchanged by the floods of tourists, explore its narrow streets and discover the 'real Venice'. Sights nearby - The hotel is located directly above the Schola Italiana Synagogue, one of the five Synagogues of the Old Jewish Quarter. 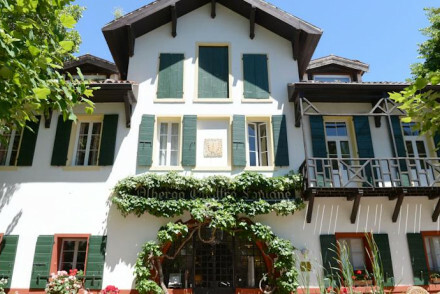 An elegant and traditional hotel set in a 13th century gothic house. Luxurious rooms have wooden floorboards, silk furnishings, and all the mod-cons. Excellent buffet breakfasts, and just a stone's throw from Venice's sights. A great choice for couple or group weekend. A charming collection of traditional (and colourful) houses, turned small and delightful hotel. The five houses have been beautifully designed throughout giving a contemporary feel without loosing the buildings' charm. Ideal for those looking for an authentic and surprisingly affordable stay. Local exploring - An authentic experience in the village like area of Burano. Sailing - Explore the Venetian lagoon on board a traditional Venetian fishing boat. Cooking classes - Take a cookery class with Michelin-star chefs. 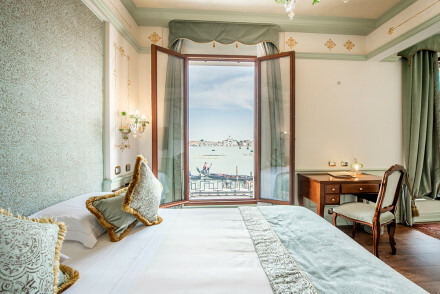 Charming boutique hotel in Venice overlooking the Rio de la Fornace canal, offering warm and romantic rooms adorned with Murano chandeliers and some with four poster beds. A stone's throw from the Peggy Guggenheim museum and the Madonna della Salute Church; perfectly placed for exploring the city. Local exploring - Close to museums and countless historic buildings dating back to the days of the Republic. Sailing - The hotel organises gondola rides for guests down the canals. Sights nearby - A short walk from the Madonna della Salute Church. 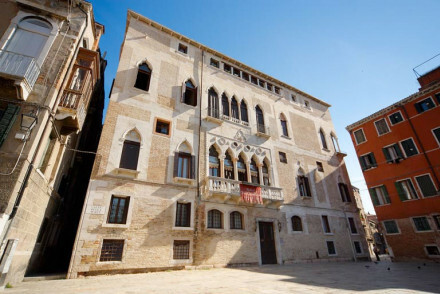 B&B Casa Robinig is situated in the centre of Venice's Lido, just a short walk from the beach. It offers smart accommodation with various antique furnishings and a large continental breakfast is served each morning! A great option for experiencing beautiful Venice. Beach Life - With the beach just two minutes away you can roll out of bed and be lounging by the seaside in no time! 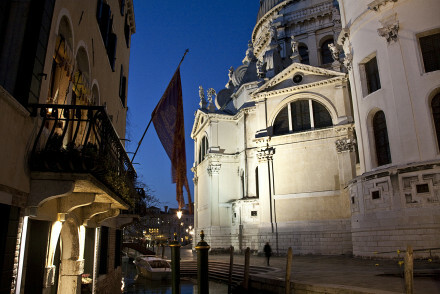 Sights nearby - Head to the famous Bridge of Sights, Ducal palce or Basilica San Marco-all just a short distance away! 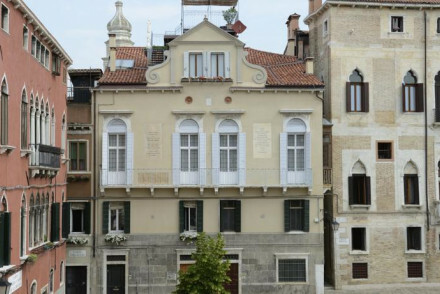 Classically Venetian B&B with rooms and apartments. Softly coloured rooms, some with frescoes, private balconies, oil paintings, chandeliers and statues. Very characterful and great value for family or a group of friends. Sights nearby - Walking distance of the Rialto Bridge and San Marco area. 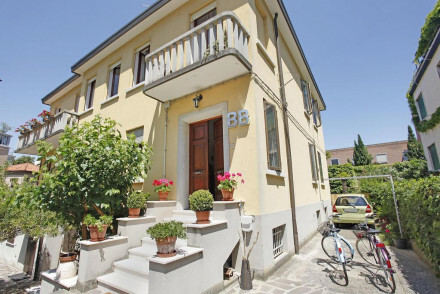 An elegant historic residence close to San Marco Square and the Arsenal. Gothic-Byzantine architecture remains the hallmark of its restored interiors - period furnishings and 18th century paintings throughout the rooms. A great value choice for families, friends or couples. 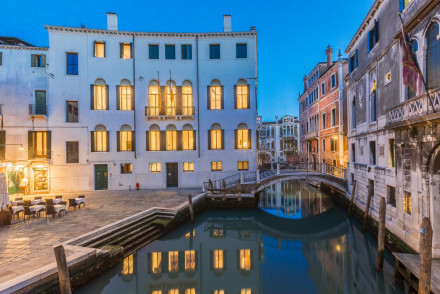 An exquisite jewel of a 16th century house on the Grand Canal overlooking the Accademia Bridge and Santa Maria della Salute. Stylish, richly furnished, welcoming and extremely comfortable. A stylish bar and restaurant serves local cuisine. A chic choice. Local exploring - A well located property with direct access to the Grand Canal. Sailing - Take a romantic cruise down the Grand Canal. Sights nearby - Take a stroll to the Accademia Bridge. Gorgeous boutique B&Bs - one B&B on each floor, but they share the same reception. Similarly opulent bedrooms in striking colours with rich fabrics. The roof terrace is a very special outpost with views over Venice. Very stylish and romantic. 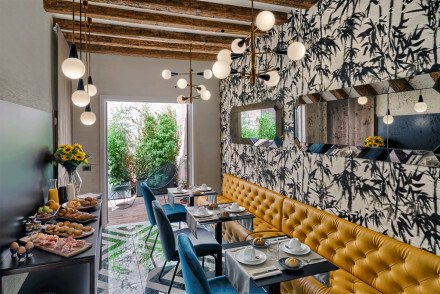 Homely yet sophisticated restaurant with rooms on magical Torcello, an outpost of the grand Cipriani. The rooms are simple yet elegant with balconies commanding views of the garden. Wonderful setting, quiet and secluded, serving unforgettable cuisine. A grown up hideaway. Hideaway - Set on the most private and uninhabited Island in Venice, this is ideal for those looking for privacy and quiet. Foodies - Famed for its Ventian food Locanda provides wonderful food in an enchanting setting. Great walks - Explore the dense mosaic of islands and sandbanks emerging from the canal waters, the marshlands and the shallow canals. Small jewel-like hotel, in the heart of Venice. The rooms are elaborately decorated in a traditional yet opulent style, deep reds, dark wood and plenty of pomp. The warm and inviting staff make you feel at home. Elegant, richly furnished and intimate. Sights nearby - Located in the heart of old Venice you are Just a few steps from the historic Saint Mark Square and the Ducal Palace. Great walks - Take a stroll in Carlo Scarpa's garden in Fondazione Querini Stampalia, simply splendid. Local markets - Located very near the Rialto market. Charming and often fully booked romantic pension converted with style and flair, where Ruskin used to stay during his visits. Classic rooms feature parquet flooring and antiques. Some have great views of the Giudecca canal. Breakfast can be enjoyed al fresco overlooking the city. A Venetian dream. 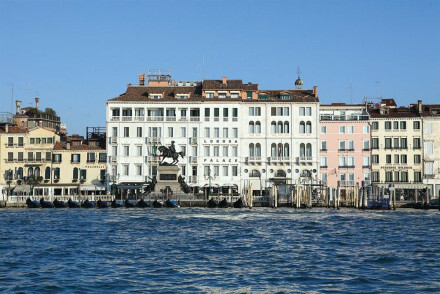 Great walks - Overlooking the Giudecca Canal this hotel is a pleasant a scenic walk from the heart of Venice. Sights nearby - The hotel is a short walk from the Basilica of St. Mary of Health and the Jesuit Church. 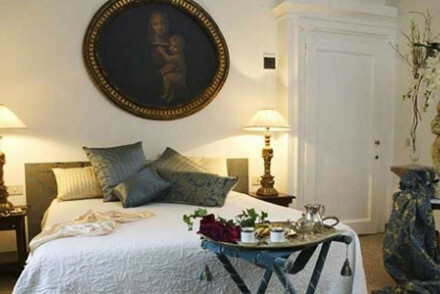 Opulent, romantic, and traditional B&B very close to St. Mark's Square. Rooms and suites have tapestries, oil paintings and gigantic puffy beds. A romantic choice and great value too. 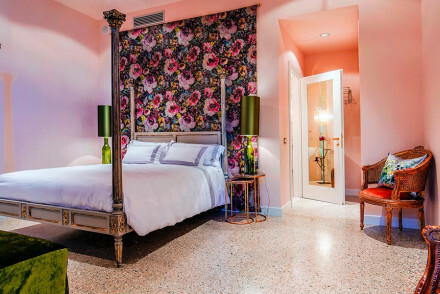 This intimate and chic hotel was Venice's first designer hotel. Minimalist Art-Deco bedrooms are a welcome change from the tardy baroque excesses that litter the city. It's prime location and unique charm make it a popular spot. Enjoy the wine and cheese bar, with street side seating. City Style - Break the traditional Venetian style with sleek Art-Deco design, think bamboo-parquet floors, steel stairs & walnut bedframes. Local exploring - This neighbourhood is bustling with Galleries and Museums, and just a short walk to all the main sights. Sights nearby - Check out the nearby Punta della Dogana, a warehouse holding the contemporary art collection of billionaire Francois Pinault. Homely and elegant B&B with friendly hosts. 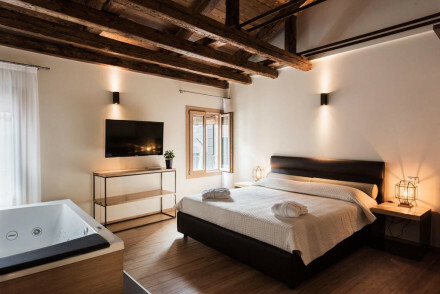 Bedrooms and one suite have parquet floors, lots of natural light and wooden beams. The suite has a private roof terrace. A great spot for families, and excellent value. 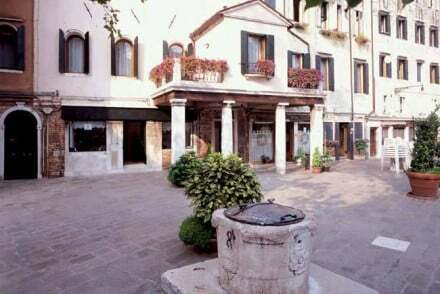 Charming B&B located in heart of the Saint Marco district of Venice. 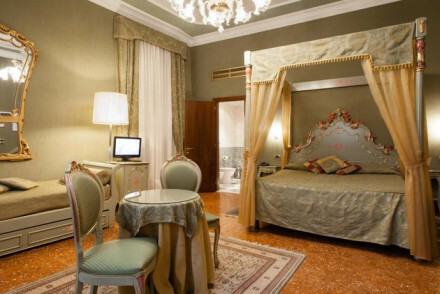 The rooms are elegant and their 18th-century Venetian style reflects the rich culture of the city. 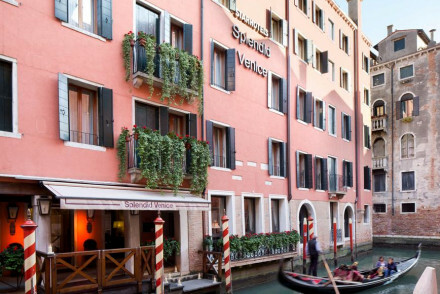 With a great location close to Piazza Saint Marco and the Accademia Gallery, it's an unmissable Venetian option. Romantic Break - A romantic and charming getaway for two, with elegant suites, private balconies and a sunny terrace. Local markets - Browse the local Venetian markets and pick up a few treasures to bring home with you. Sights nearby - Rialto Bridge and Basilica San Marco are both within 15 minutes walk. A charming B&B with a slight Casanova theme. Each room and suite extravagantly decked out in bright fabrics, gilt mirrors, funky chandeliers, some with four poster beds. The roof top is an excellent perch to view Venice from. Romantic but also family friendly. 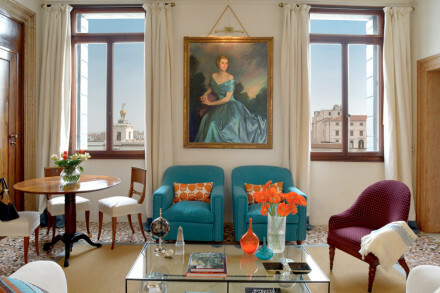 Traditional 15th century Palazzo with views of the Grand Canal. Three elegant rooms with a charming blend of antique furniture & contemporary features and a charming outdoor courtyard, perfect for evening drinks. A great base for a city break - owners have lots of local knowledge. Sights nearby - Great location in the Santa Croce neighbourhood. Easy access to all of Venice's top attractions with a Vaporetta stop close by. The Beggiato family open their doors and antique collection to give guests Lagoon views, a luxurious stay and Michelin star dining. Rooms are unique with an eclectic mix of curios and collectables. 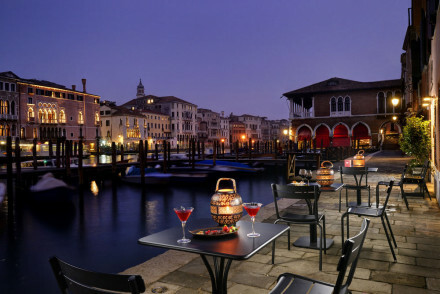 Enjoy the rare Venetian garden, the memorable dining experience and the Oriental Bar. Romantic stay. Sights nearby - Steps away from the famous Piazza San Marco. Views - Choose a room with a lagoon view. 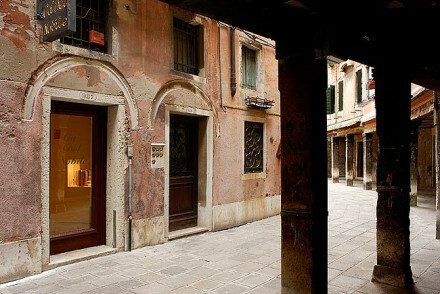 This intimate hotel is located in San Marco, Venice. 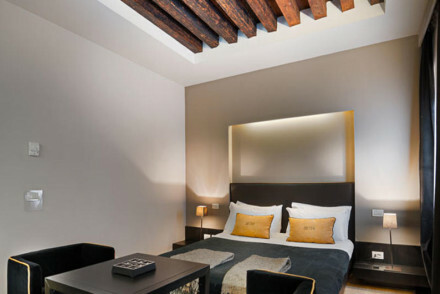 Rooms are cosy, with exposed wooden beams complemented by soft furnishings in an earthy palette. Two self-catering apartments are available, perfect for families or groups. Breakfast comes from the hotel's own pastry shop. A charming, modern B&B. Seductive and chic b+b with oriental touches, very well located for shopping. Suits couples, dark and intimate, a short walk to the main sights. A breakfast fit for kings is served in the leafy courtyard. Quaint and utterly charming. Romantic Break - This unique and charming hotel marries romance, style and unbeatable location to produce a perfect getaway for two. Local exploring - No better place in the world to wander, get lost and discover, just a short walk from St. Mark's Square. Artworks - Regular exhibitions featuring local and national artists. Local markets - Check out Rialto Market where you can get everything from artisan masks to the perfect cup of coffee. 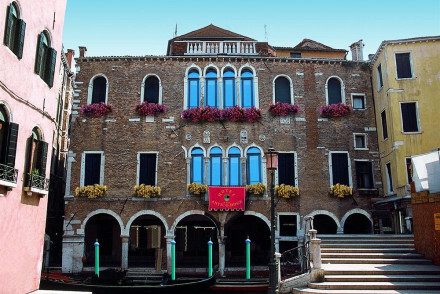 This hotel occupies one of the oldest palazzos in Venice. Situated a stone's throw from Piazza San Marco, the building's original frescoes are complemented by modern soft furnishings in a regal palette. Start the day with breakfast overlooking Campo Santa Maria Formosa. An elegant boutique hotel. A quaint and charming hotel on the Lido, Venice. The historic building has the feel of a family home, with traditional decor, lovely gardens and plenty of eye catching antiques and artworks. Endowed with character lacking in many Venetian hotels. Total relaxation - Large comforatble rooms, lovely gardens and generally a much more chilled out vibe than staying in Venice proper. Great walks - The property boasts extensive gardens, perfect for a morning walk. Stylish and elegant family-friendly B&B near the Rialto. Spacious and light rooms with original features and thoughtful touches. Helpful and friendly owners will make your stay as comfortable as possible. Breakfast is served in the dining room. Charming. City Style - Venetian style with a twist- think Persian rugs, bold fabrics, charming frescoes, pretty glass lamps and parquet floors. Sights nearby - Steps from The Rialto Bridge and just one km from the Basilica of San Marco and the Doge's Palace. Local markets - A short walk from the hisotric Rialto market, supplying Venice with fresh produce since 1097. Great walks - Venice is a wonderful city to wander, get lost and find hidden jems. In this decadent and historic Venetian hotel individually designed rooms boast luxurious four-poster beds and original architectural features. Intricate cornices contrast with contemporary fittings in a delicate balance between old and new; the best suites have canal views. A grand Italian palazzo. A small, simple and comfortable, B & B in the heart of Venice. Central yet quiet, two minutes walk from St. Mark’s Square and five from the Rialto. 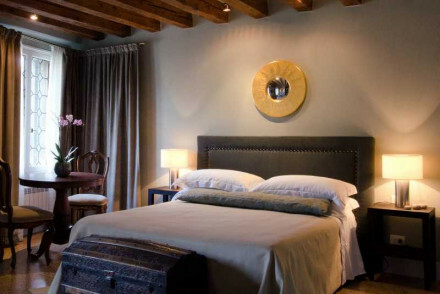 Creamy bedrooms with a Baroque twist - wooden beams, vintage furniture and exposed brick walls. Understated charm, perfect for a weekend city break. 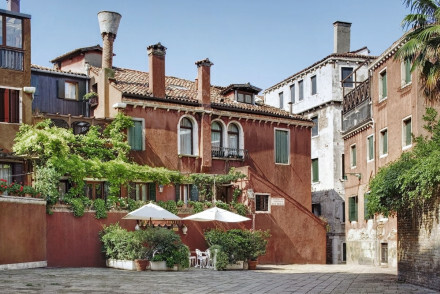 A very charming guesthouse steps from the Peggy Guggenheim Collection. 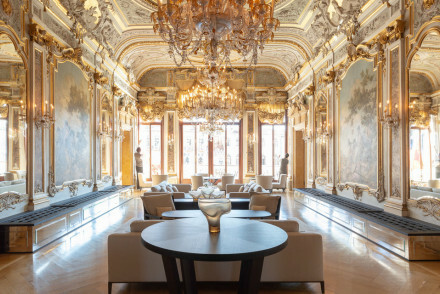 Unlike the other more statuesque hotels in Venice, this one offers luxury through understatement. 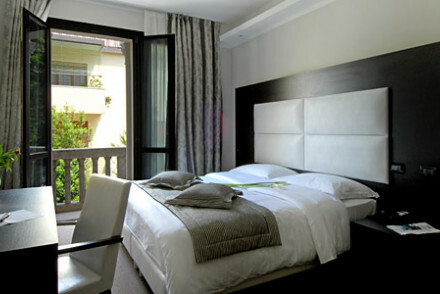 Contemporary elegant rooms in neutral and beige tones, furnished with all the modern necessities. Delightful Renaissance residence in central Venice. Bedrooms and suites filled with delicate fabrics, chandeliers, mirrored lamps, artworks and fireplaces. The hotel's excellent restaurant is nearby. 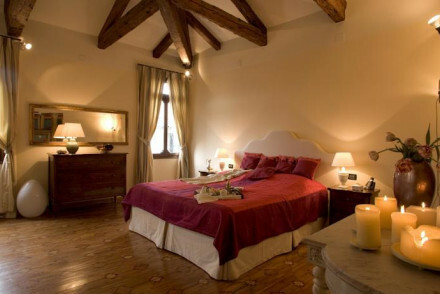 Very authentic stay close to St Mark's Square and the Rialto Bridge. This cosy boutique hotel sits within a heritage building overlooking the Grand Canal. 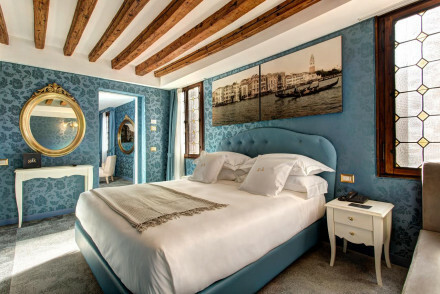 Rooms are dressed in a modern Venetian style, with patterned wallpaper and contemporary Italian furnishings. The most exclusive suites have a free-standing, designer bathtub and pretty private terrace. A chic stay. 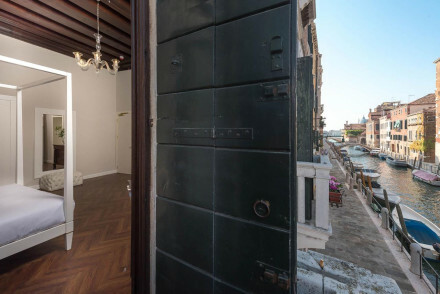 A small luxury property boasting a very central location and beautiful Venetian design. 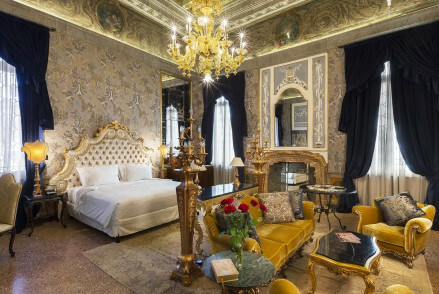 Opulent rooms and suites are everything one expects from this part of Italy with chandeliers, heavy drapes and antiques. Housing a restaurant, piano bar, small spa and wine cellar; this property has it all. 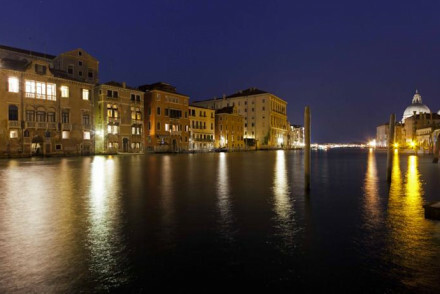 Local exploring - A luxurious base ideally located to explore Venice's main attractions. Sights nearby - View works by Tiepolo and Piazzetta in the 18th-century church besides the hotel. Sailing - Take a cruise along the canals starting straight from the hotel's own jetty. 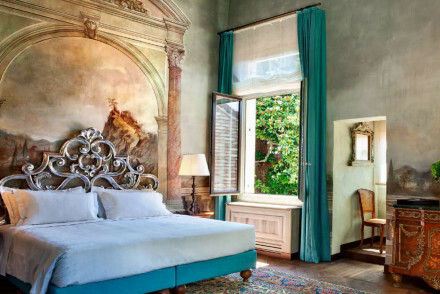 Restored 16th-century palazzo with spacious frescoed rooms, full of antiques and Murano glass. Bursting with history and character. Four poster beds, heavy curtains and patterned wallpaper adorn the rooms. Drinks are served in a walled terrace with shaded seating. Truly regal living. Writing a novel - Be inspired by the enchanting setting- think authentic 17th-century frescoes, silk-lined walls and secret walled gardens. Local exploring - Well situated in the bohemian Cannaregio quarter, beside a quiet canal perfect for private watertaxis. Local markets - Browse the Rialto market for local produce, leather goods and perfumes, just across the Grand Canal. 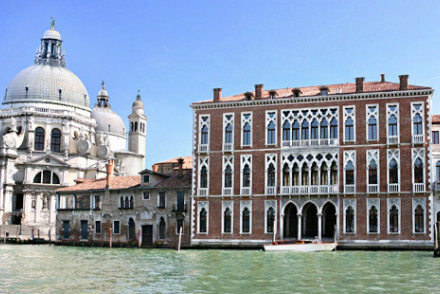 Sights nearby - A short walk away is Ca' d'Oro a splendid gothic style building overlooking the Grand Canal. A charming and romantic B&B with a beautiful garden and breakfast terrace. Design conscious rooms have white washed walls, clever lighting and sleek furniture. Great value and very pretty. This plush, four-star hotel sits close to the Rialto Bridge in Venice. Rooms are dressed in a period style with draped curtains and canopy beds in royal blues and rich reds; the best suites offer a balcony and living space. Have cocktails on the scenic roof terrace; a luxurious Venetian bolt-hole. 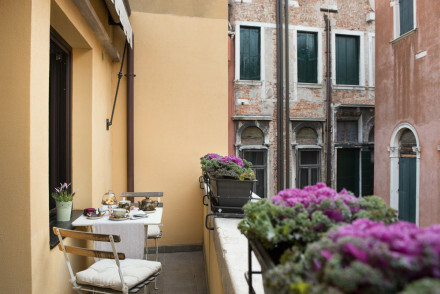 This newly renovated B&B is situated in the heart of Venice's historic centre. Located in an ancient Venetian palace, it offers a luxurious and relaxing stay, within walking distance of Venice's main attractions. Each of the large, modern suites boast their own whirlpool, and breakfast is included. A charming traditional property in a great canal-side location. Elegant rooms, the best of which boast canal views, feature large sash windows, chintz fabrics and chandeliers. An elegant breakfast room with an indulgent spread. Ideal for a real Venetian treat, within easy reach of the main sights. 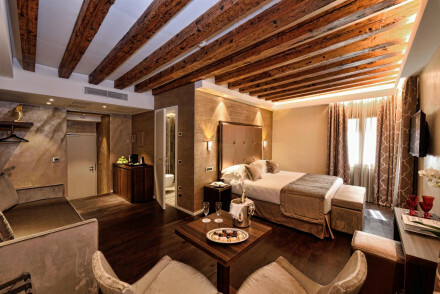 City Style - A traditionally styled Venitian property directly on the canal, offering plush decor and effortless elegance. Sights nearby - Just steps from the Basilica dei Frari, Scuola Grande di S. Rocco and the Jewish Ghetto. Local markets - Don't miss the Rialto Market, Venice's oldest fish, vegetable and fruit market. Very chic city centre hotel. The two rooms have gilded mirrors, opulent fabrics, modern bathrooms and enormous beds. Roof terrace and bar. Intimate, quirky and rich in details. Your own very smart home in Venice. 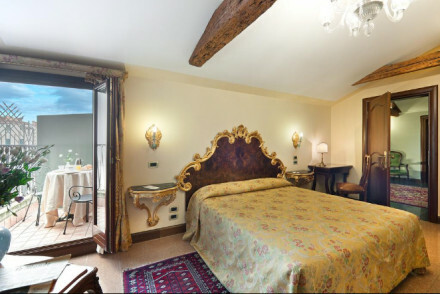 An intimate four star boutique hotel nestled in the ancient sestiere of Santa Croce. The refined and opulent suites areadorned with gold leaf, Murano glass and polished wood floors - exuding a classic sense of luxury. Take breakfast on the beautiful terrace overlooking the Grand Canal. Romantic Break - A romantic 4 star boutique, with pampering suites filled with opulent fabrics plus views over the Grand Canal. Local markets - Located in Campo San Simeon, a small square, off the beaten track and filled with fascinating shops and restaurants. 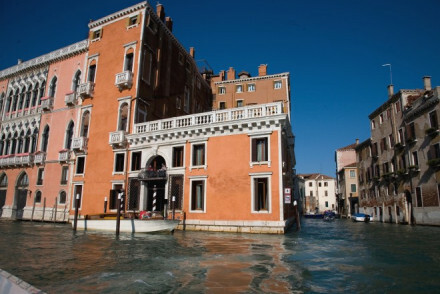 A luxury hotel with an excellent location, giving easy access to Venice's sights. Expansive rooms mix tradition with modernity; think soft hues, simple patterns, antique furniture and wonderfully modern bathrooms. An elegant lounge boasts a grand piano; an ideal spot for an evening tipple. Fabulous. Local exploring - A great base for city exploring with an excellent location nestled between Rialto Bridge and St Mark’s Square. Sights nearby - Marvel at the stunning 16th century Rialto bridge. Just four contemporary suites with all the modern amenities offer calm and privacy in a hectic city. An ideal choice for a couple looking for independence and privacy, or a business traveller needing simple accommodation. 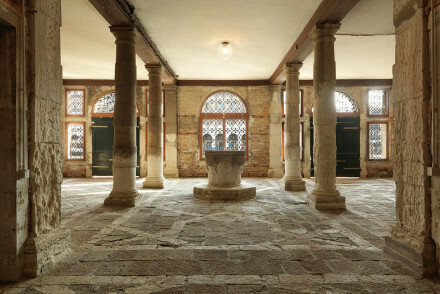 Located on Giudecca Island this 16th century converted Palladian convent overlooks St. Mark's Basin and the Bacino. Rooms feature rich tapestries and soft silks, private balconies and luxurious marble bathrooms. There are delightful gardens and a huge spa. An utterly romantic and relaxing getaway. Cooking classes - There are cooking classes and tasting menus available. Sights nearby - St. Mark's Square is just a two minute walk away. 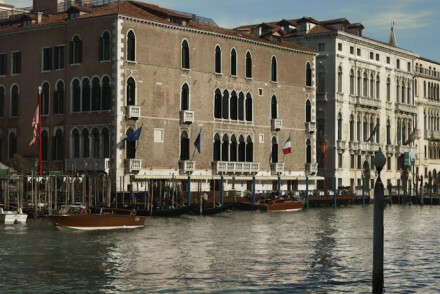 This hotel sits within a 17th-century aristocratic residence overlooking the Grand Canal. Rooms are dressed in royal teal with gold leaf finishes; expect velvet throws, textured wallpaper and period furniture. 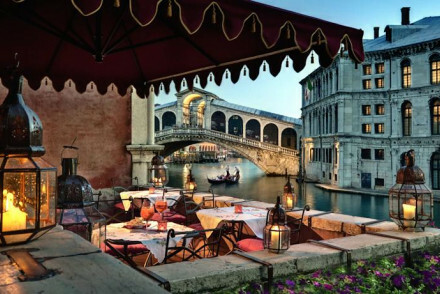 The best suites have Grand Canal views, as does the hotel restaurant. A charming stay. 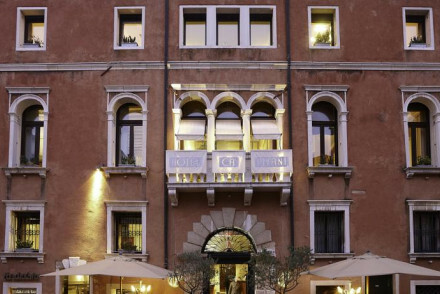 This heritage hotel is housed in a renovated 15th-century palace in Venice. Guests can choose from nine self-catering apartments with up to three bedrooms; the accommodation has a sleek, modern interior design with some period touches. The best apartments offer beautiful canal views. A stylish stay. A historic hotel, set canal-side in the centre of the city. Elegant rooms are traditionally dressed with rich hues, patterned wallpaper and antiques. A fabulous restaurant serves exemplary regional dishes and specialises in seafood. 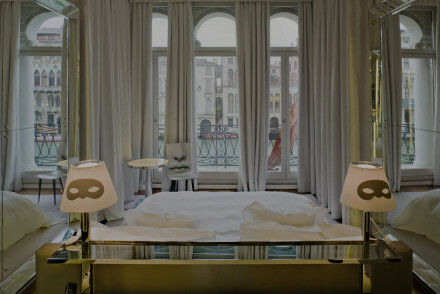 The perfect choice for a quintessentially Venetian stay. Local exploring - A chic hotel in the heart of the city with access directly from the canal. Sailing - Discover the city in the traditional manner, by gonola. Sights nearby - Visit St. Mark’s Basilica and the Doge's Palace. 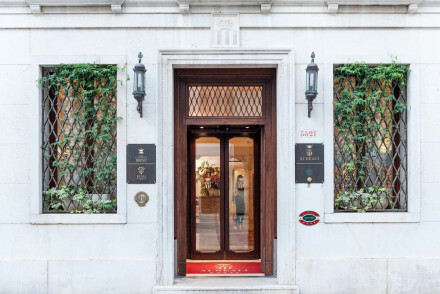 Hotel L'Orologio, situated right next to the Grand Canal, is only a short walk from some of the city's most famous sights. The hotel has designer rooms decorated in typically Venetian materials and colours, and all rooms come with a private bathroom as well as a satellite TV. A chic city break. Local markets - Rialto market is only a minute away! 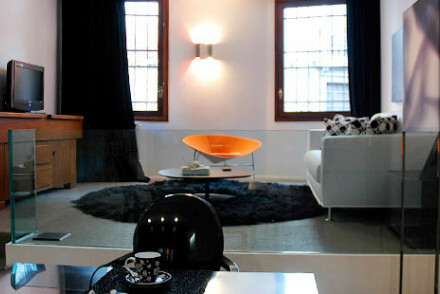 This boutique hotel is housed in a historic palazzo in the arty neighbourhood of Dorsoduro. The hotel has been renovated in an Art Deco style, with inspiration from aspects of traditional Venetian interior design and a 50s finish. Enjoy breakfast on the pretty hotel terrace. A stylish concept hotel. 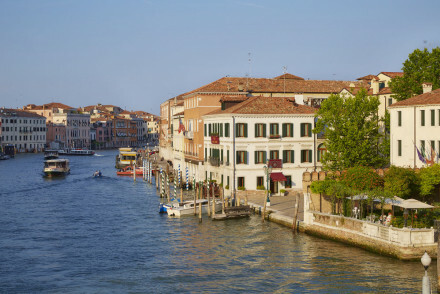 This five-star hotel occupies a 16th-century palazzo on the Grand Canal. Restored frescoes and marble fireplaces adorn the building. Suites boast wooden floors, period furniture and hand-selected artworks; the best have Grand Canal views. Don't miss the Michelin-starred restaurant; luxury defined. This five-star hotel and spa is on the private island of San Clemente. Guests arrive by a complimentary boat to rooms dressed in a regal palette with gilded accents and period furnishings; the best suites offer panoramic views of the water. Relax by the outdoor pool or at the bar. A unique stay. 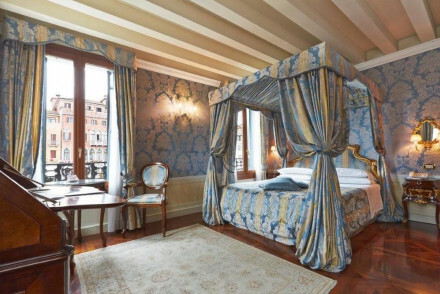 This luxury hotel is housed in a 13th-century palazzo overlooking the Scuola Grande di San Marco. Suites are elegant and refined, with marble and wood accents. The most spacious apartments offer self-catering facilities and multiple bedrooms. Expect stylish Italian design pieces. A majestic stay. 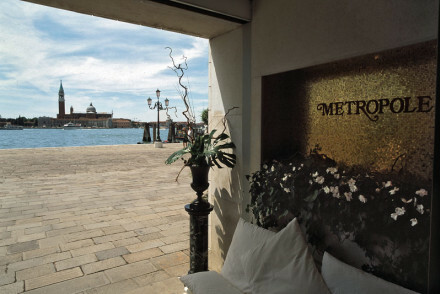 This luxurious 5* hotel enjoys a wonderful location on Giudecca Island, just outside Venice. With elegant interiors throughout, opulent rooms and suites, a large garden to relax in, tennis courts and a swimming pool. A sophisticated choice for a special trip away! Romantic Break - Luxurious rooms, daily gondola trips around Venice and candelit evening dinners together-a perfect romantic getaway! 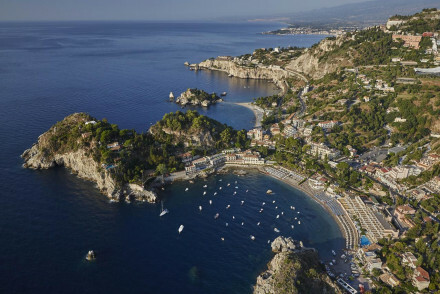 This lavish seafront hotel is located on the beautiful Sicilian coast. Rooms are bright and airy with touches of colour in the unfussy soft furnishings; the best suites offer a private terrace with breathtaking sea views. Enjoy a luxury spa treatment before an al fresco dinner. A stand-out resort. Stunning and romantic views across the Grand Canal, with grand rooms and a large, secluded garden. 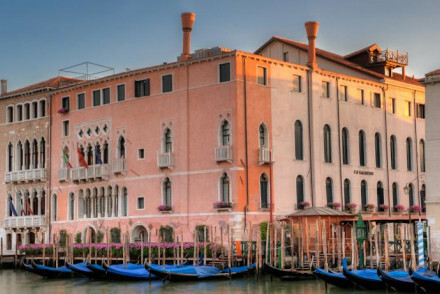 This plush hotel is housed in a magnificent Rococco palace on the Grand Canal. Original features abound, from 18th-century frescoes to a 16th-century Sansovino fireplace; the best suites offer spectacular views of the canal. Dine at the gourmet restaurant before heading to the spa. Luxury defined. 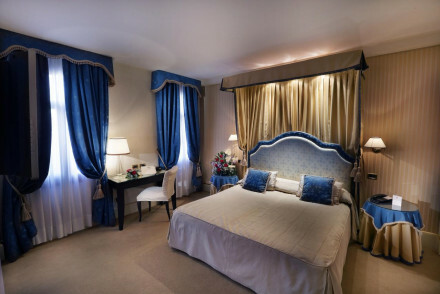 This hotel offers luxurious apartments set across three floors of the Palazzo Ca'nova on the Grand Canal; choose from the third-floor terrace apartment with views of the waters, the intimate second-floor apartment or the exclusive rooftop apartment with a private terrace. A unique Venetian hotel.